Expires in 4d . Last validated 1mo ago . Used 5 times. David Vidal I am validating that this deal works as described. 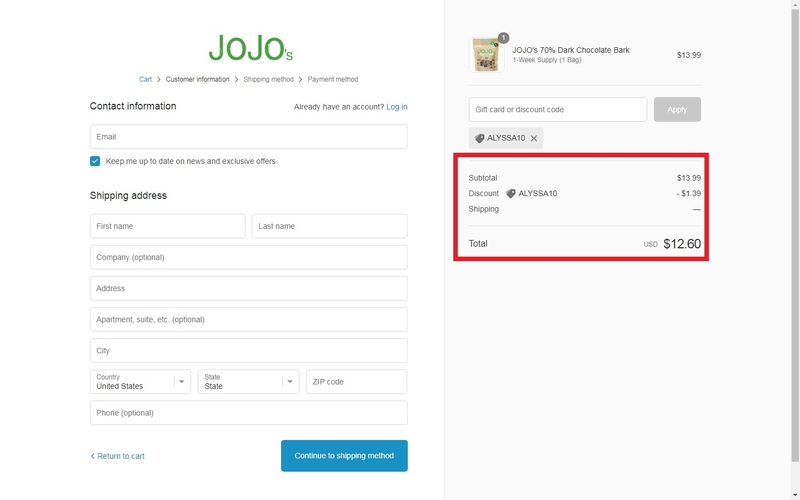 Just apply the promo code at the shopping cart and get 10% Off Your Entire Purchase at JOJO's Chocolate (Site-Wide). David I am validating that this deal works as described. 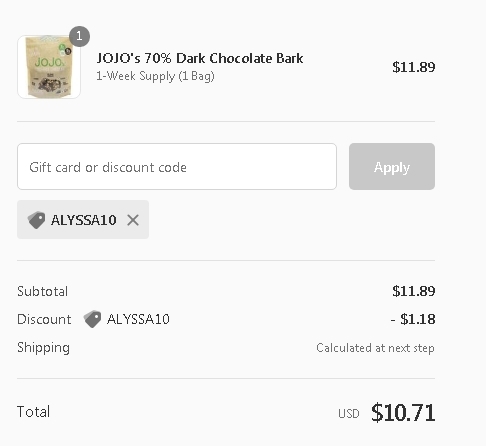 Just go to the online store, add the items you want to buy to the cart, at the time of finalizing your purcharse copy and paste this code to get a 10% Off Your Entire Purchase at JOJO's Chocolate (Site-Wide). 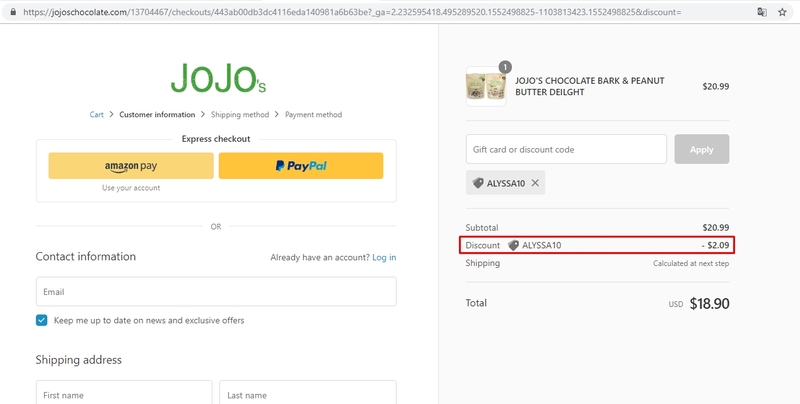 Hernan Mora I am validating that this coupon code (ALYSSA10) for JOJO's Chocolate is currently active and is working as it is described. There may be some exclusions that apply to this deal.